There are many benefits for a non-profit organization, when they choose to use a mail house like Magagna & Company for mailing a monthly or annual non-profit appeal. The biggest reason is cost savings. The presorted AADC first class letter rate is .384 per piece vs the self-stamping first class rate of .46. This translates to a $760.00 savings on a 10,000 piece mailing. 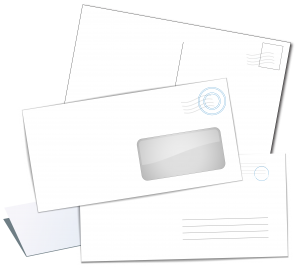 When a letter is automation compatible, the mail is addressed so that it can be sorted by automated equipment. An Automation letter or flat mail is mail that is 100% barcoded using an Intelligent Mail™ barcode (IMb) and can be prepared to be read by the Postal Service’s high-speed mail processing equipment. This helps by reducing the post office’s costs of more labor-intensive sorting methods, in turn, they then pass along the savings to you in the form of lower postage rates. To further the savings, we also sort the mail by zip code (presorted mail) for additional ease of delivery at the post office. In addition to mailing, as a full-service provider of printing and direct mail, Magagna & Company has been able to help many non-profits further reduce the cost of their mail campaigns as we are a one-stop resource with the capability to design, print, and mail – reducing costs by pricing the entire project as a bundle. Contact us today to request a free direct mailing quote by calling: (484) 243-6167 or fill out our easy online form. Instructions for applying can be found on the USPS’ website. There is no application fee for registered non-profit organizations.